Conditions in gold-rich Burkina Faso have continued to deteriorate in 2019, with increased militant activities in areas near mine sites. Unrest in the gold-rich African nation of Burkina Faso is increasing, with the Islamic State (IS) now claiming responsibility for the death of a Canadian miner while the central government has ordered artisanal mining in the east of the country to halt as it carries out military operations. A local arm of IS has declared that it is responsible for the death of Canadian miner Kirk Woodman in January, saying in propaganda circulated last week that “the kidnapping and killing of a Canadian crusader” has interested western powers in the terrorist group’s activities in Burkina Faso. Artisanal mining operations in the Est Region, on the border of Niger, were ordered to shut temporarily on March 27 — something that could cause problems for foreign explorers. Chris W.J. Roberts, a political science instructor at the University of Calgary and president of African Access Consulting, told the Investing News Network (INN) that he understands that there is “a significant military operation planned for the area” that is likely still underway. The Est Region and other border areas of Burkina Faso have seen increased violence recently, with Jihadists and government forces clashing, and civilians more often than not getting caught in the conflict. Woodman, who was vice president of exploration at Vancouver-based Progress Minerals, was found dead on January 16 after he was kidnapped from a mining site in Northeastern Burkina Faso. Woodman’s company had been working with Australian explorer Predictive Discovery (ASX:PDI), which has projects throughout West Africa. Roberts had previously described Canada as “the leading source of mining exploration and production capital” in the African country, which is experiencing deteriorating security conditions. Burkina Faso, a gold hotspot, is also host to multiple other foreign operators throughout the country. Charles Dumbrille, chief risk officer at Canadian risk consultancy In-D-Tel International, told INN that the mining industry tends to keep its head down. “[Companies] are busy looking at the deposit and not at the risks aboveground,” he said. This means that, with the increased attention being paid to the dangers present in Burkina Faso, more explorers and operators are looking to lock down their operations. “I think people are keeping a closer eye on their security procedures [and] implementing, hopefully, the proper security needed for protecting their assets and their employees — most importantly, their employees,” Dumbrille continued. Security offsite is becoming a more prescient concern for foreign nationals too, with militant and Jihadist activity not confined to the regions but occurring in the capital of Ougadougou as well. Concerns raised by operators now include where employees and contractors are staying as they pass through cities, said Dumbrille. Teranga’s prioritized projects — the under-construction Wahgnion mine and the Golden Hill development project — are both on the other side of the country. Predictive Discovery, with which Woodman’s company was working in Burkina Faso, had not yet responded by time of publication, although in late January it reported that activities were yet to recommence at the joint venture site due to the incident that led to Woodman’s death. While the government order last week specified artisanal miners, producing mines appear to be maintaining operations without disruption. Canadian miner SEMAFO (TSX:SMF,OTC Pink:SEMFF) told INN that its 204,000 ounce per year Boungou gold mine has not been affected by government operations. “It is very much business as usual for our Boungou Mine,” said a company spokesman. SEMAFO is a company that is carrying out what Dumbrille described and flying in workers. In 2018, the company was forced to increase security at and between its operations because of Jihadist activities near its mines — and in the Est Region — requiring non-local workers to be transported by helicopter between the capital city and its operations. Work was not impacted by the increased security. Another large miner with mining activities untouched by the unrest, IAMGOLD (TSX:IMG,NYSE:IAG) operates the 405,000 ounce per year Essakane gold mine in the northeast of Burkina Faso, well within the conflict zone of the Sahel Region to the north of the Est Region. 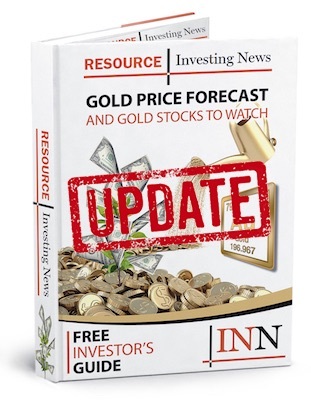 IAMGOLD has not made mention of the unrest, and in its 2018 results said that it planned to carry out further exploration near the Essakane mine over 2019 — plans that it has not indicated will change. While on the surface, the government order to shut artisanal mines doesn’t directly affect or even target foreign operators, Dumbrille warned that it will have flow-on effects to security. “With these closures and temporary delays in operations in the eastern part of the country, that brings resentment to the government,” he said, because workers’ livelihoods will be impacted and the temptation to join groups hostile to the government will rise. Because militant groups are gaining influence in areas of small operations, exploration teams are more exposed to higher risks. While he said it is too soon to see if Canadian investment in the country will fall in 2019, he believes that more operators are taking time to consider the dangers. Don’t forget to follow us @INN_Resource for real-time updates.